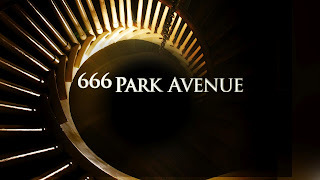 Even though ABC’s supernatural drama 666 Park Avenue was cancelled last November, four new episodes will wrap things up into a tight, creepy bow this summer. According to Deadline, the unaired episodes will return on Saturday, June 22 at 9 p.m. ET. The series debuted last September and revolved around the ill-fated tenants of NYC’s Drake apartment building and its devilish landlords. It stars Terry O'Quinn from Lost and Vanessa Williams as Faustian masterminds that offer to make the wishes of tenants come true for a price. Here are the titles and air dates of the final four episodes: “The Comfort of Death” (June 22); “Sins of the Father” (June 29); “The Elysian Fields” (July 6); and, finally “Lazarus” (July 13). For a refresher on the last-aired-episode, “Hypnos,", check out our recap.